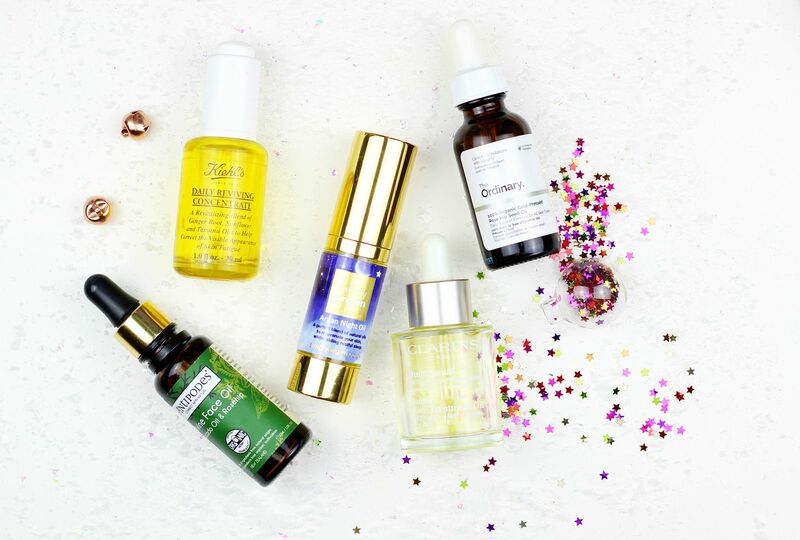 I could wax lyrical about the many virtues of a good face oil; I am quite the convert, and not a day goes by without me using at least one of the products mentioned below. Especially now, in the depths of cold and frosty weather, a facial oil is my favourite skin-perfecting step. If you’re after something hydrating but non-greasy or something to pep your skin up in the morning, the Kiehl’s Daily Reviving Concentrate is a lovely little pick. Packed full of skin-loving ingredients like Ginger Root, Sunflower Oil & Tamanu Oil, it’s such a dreamy product to pat onto the skin in the morning. I find it sits really nicely under my moisturiser & leaves everything looking radiant. I’ve mentioned this so many times, but The Ordinary Rosehip Oil really is a gorgeous little product. So cheap, and yet so good. Madness! I use this in the morning, at night or throughout the day if I’m staying in – my skin drinks it up. I think The Ordinary is going to be one of the big brands for 2017, because the products are so effective – both in terms of cost and results. One of my all time favourite skincare products (I’m talking third-bottle levels of adoration) is the Antipodes Divine Face Oil; it really is divine. Having had the pleasure of meeting the owner of the brand, Elizabeth, and hearing her talk about her enthusiasm for organic & clean beauty, I am confident in this oil’s credentials; it’s high quality. This one is on the greasier side of things, although I find it acts as a wonderful base for makeup. If you have yet to try a Clarins facial oil, then your skin has seriously been missing out. They are all superb, but my personal favourite is the Santal oil; it’s gorgeously greasy in the absolute best way. Layer this on at night and dry skin will be so much supple by the morning. Especially good for winter-ravaged skin, it soothes the skin and leaves my face feeling a lot happier after every application. As a bonus, it smells so relaxing – like a spa. I like to spend at least two minutes really massaging it into my skin and giving myself a mini facial massage. Lavender is just the best scent before bed to leave you all relaxed, and the Simply Argan Night Oil smells divine. I really like the benefits of essential oils, and this little gem is fantastic for calming yourself down after a long & busy day. It’s quite rich, and leaves the skin all plump in the morning. Mmm, writing about it is making me feel sleepy!